Joginder Singh Sahnan, the man who fought against the aggressive soldiers in the 1962 Sino-Indian war is one of the greatest heroes that the country has ever seen. The man with bravery in the veins refused to concede even though stranded and killed a great number of Chinese soldiers in the war. Joginder Singh Sahnan’s contribution in the war is considered to be one of the greatest ever and could have led the Indian troops towards victory. Sahnan has set an example to be brave forever even though the enemy is much stronger than you. He is a source of inspiration for all and inspires everyone not to concede whatever might the situation be. A Hindi movie is made where Gippy Grewal would be playing the role of Subedar Joginder Singh which is set to release in April 2018. Joginder Singh Sahnan was born on September 26, 1921, in Moga, Punjab to Sher Singh Sahnan and Bibi Krishan Kaur Bhela. He belongs to a Saini Sikh family. The man with bravery in the veins completed his schooling from Nathu Ala and Daroli villages. He joined the 1 Sikh regiment on 28 September 1936. He had a strong determination to do something for his country and this joining with the Indian Army was just the beginning of his job for his country. The man with bravery in the veins was appointed in the Twang Sector during the Sino-Indian war in 1962 wherein he showed high levels of bravery. 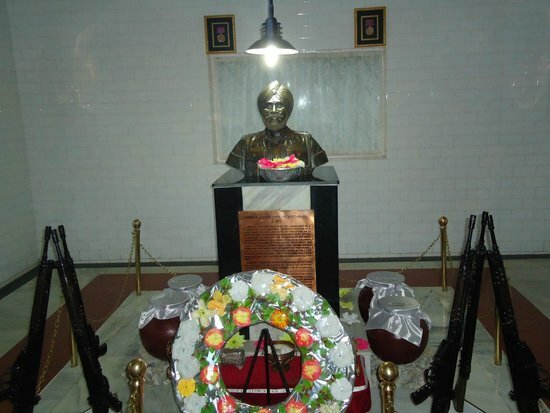 Joginder Singh Sahnan was appointed as the commander of a platoon in the Tawang sector. It was October 23, morning 5 when Chinese troops attacked on the Indian army. They were equipped with advanced weapons and were more in number as compared to the Indian troops. Although initially, he lost a good number of men, he stayed in the fight and fought bravely with the Chinese soldiers. The man with bravery in the veins even though wounded, refused to give up. Joginder Singh Sahnan along with his men could successfully defend against the two waves of Chinese soldiers. Yet they fought till last and Joginder Singh Sahnan was taken as a war prisoner. Throughout the war, he killed around 52 soldiers single-handedly. In recognition of his selfless and brave service to his country, Joginder Singh Sahnan was awarded the Param Vir Chakra Award posthumously. The award is the highest ever to be given to any military personnel. The man with bravery in the veins also has a statue in his honor at the native Moga town near the district DC office in recognition of his immense contribution towards the country in the Sino-Indian war. He has also received several other honors as well from several platforms. 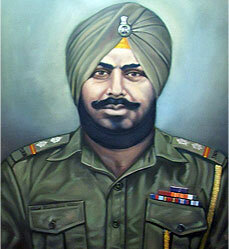 Joginder Singh Sahnan is one of the bravest and fiercest soldiers that the country has ever seen. He was successfully able to maintain that strong determination to do something for the country till the last of his breath which led him to serve well up to the purpose. Had he fell back in his determination levels, he would not have risen to this much of fame. The man with bravery in the veins is a strong inspiration for all those who cease to be brave even when the situations require the most. Whatever might the situation be, stay strong to your own self and work hard to achieve your goals. Rest everything will be definitely sorted out. This is one of the primary things that the life story of Joginder Singh Sahnan teaches everyone.